We got a good laugh (and were not at all surprised!) when we found out just how passionate you all are about cheese this week! We are tooooo! Scroll on down for our ODE TO CHEESE! 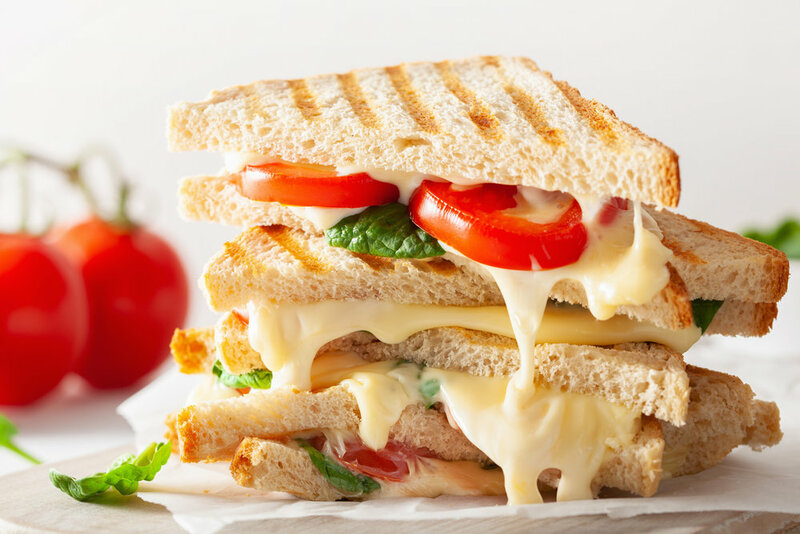 Grilled cheese with TOMATO… mmmm! ♥ Three Words: Grilled Cheese Sandwiches. It’s ABSURD just how tasty it is to stick bread and cheese together. So simple but so divine! OH. The CRUNCH. The melty goodness. But, FYI, add tomato rounds and you might find yourself eating these babies daily. So good! ♥ Slice it up, add it to a cracker, and you have a proper snack or maybe even a full meal if it’s one of those lazy days. ♥ A burgers’ value? Multiplied with great cheese added! ♥ It fills you up and satisfies for hours, yet doesn’t bloat or stuff you. Bless you, cheese! ✽ Created with milk from grass-fed cows in Australia. Did you know that the use of steroidal hormones is prohibited in dairy farming “down under”?! ✽ We love the flavor variety, try ‘em all!